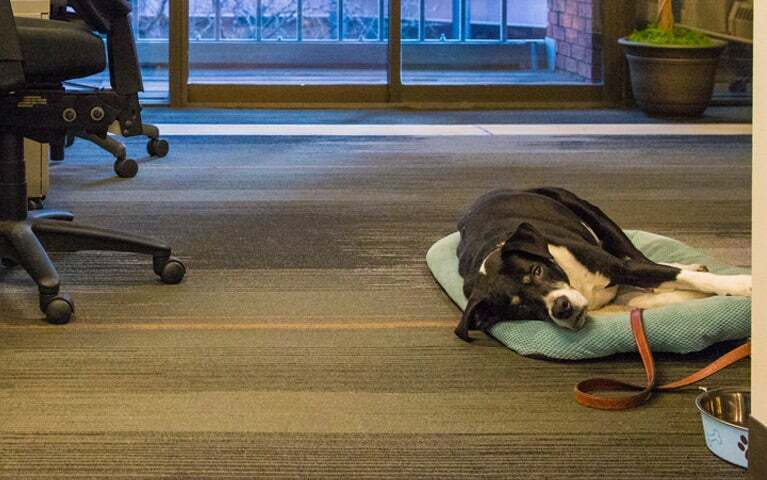 When you ask our Denver colleagues about their favorite job perks, many will note that having dogs around the office each day is a fantastic benefit. 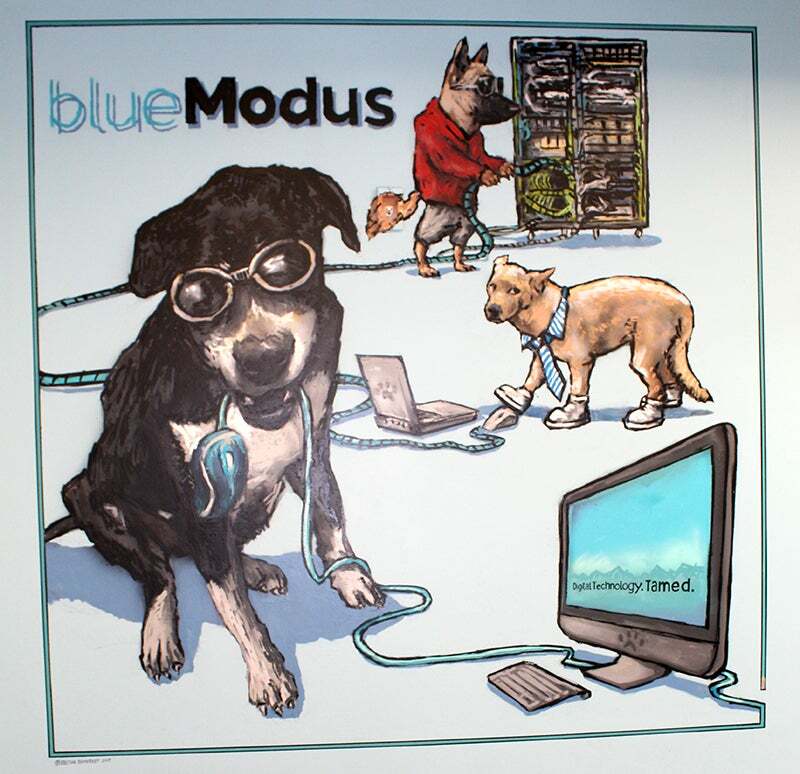 Of all our current office dogs, Lillie, owned by Kate Kunert, Director of Strategic Solutions, has been with us the longest, and was even the inspiration for the giant office mural. Lillie provides numerous valuable services around the office, including greeting guests (especially the ones who bring lunch! ), patrolling our trash cans to ensure nothing edible was accidentally discarded, and attending important meetings in the office of Vice President and COO Tom Whittaker, as long as he gives her a treat. She has always been a really funny dog. Once she saw a rabbit run off screen on the TV, and ran around the back looking for it. Lillie has gone to “sniff” class where scented Q-tips were hidden in boxes, in small tins around a room, or outside and she’d have to sniff them out. She was pretty good at it. She enjoys hiking, boat rides, and REALLY likes chasing chipmunks. However, the chipmunks tend to taunt her. Lillie once saw a deer hopping through the woods. After that, when chasing deer, she would hop like them. She could never catch up. She’s very social, and likes to be around people and other dogs. Cats not so much, she thinks they’re toys to be chased. So if you ever stop by our Denver office, be sure to say hi to Lillie as well as all our other corporate dogs!